The Road to the Horizon: #jesuischarlie, or not? Nothing justifies curtailing the freedom of expression, press freedom, nor the killing of journalists. 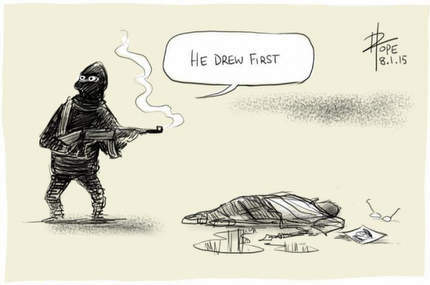 Nothing justifies the slaughtering of the Charlie Hebdo cartoonists and journalists. 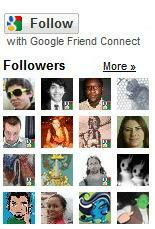 But there is something to be said about tolerance and acceptance of other cultures. 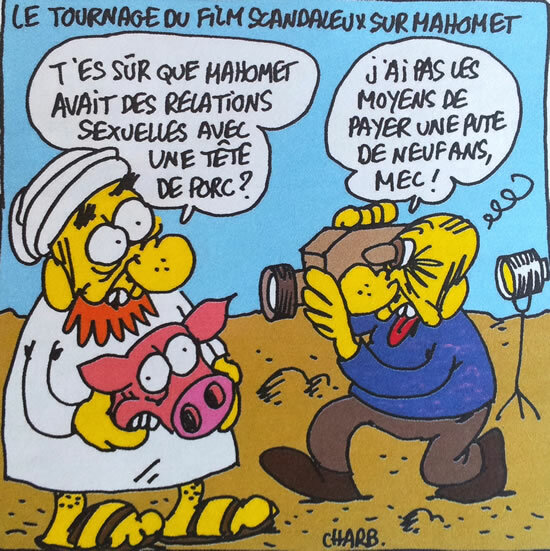 If I look through some of the previous Charlie Hebdo cartoons (and I purposely did not publish any here, but look here and here), I hesitate between freedom of expression and the right to insult purposely. We have the right to a freedom of expression, but I think nothing justifies intentionally insulting other cultures nor religions. Living in a multicultural country, I dont think people hate or are racist but when immigrants come in and look into your face and tell you what they are doing, threaten your existence and your country, constitution and your beliefs, they bring in the hate cause they believe in a book of hate and call it religion of peace. So we have to stand up in defense rather than with hate and we are not allowed to cause this shows intolerance. Islam has to be changed and seen as a political movement rather than a religion. Only then can it be controlled. Islam sees more than 3/4 of the world as infidels who either have to conform to them, be slaves or dead. They themselves cannot control this religion of peace without falling victim to it. I also think people take freedom too far but freedom does not behead. 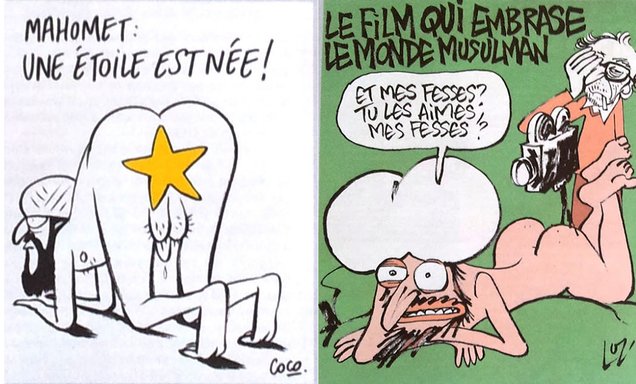 Charlie Hebdo is for the freedom of speech, when it agrees with the speech. Charlie Hebdo is a provoking rag. But what you wrote in your article is wrong. harlie Hebdo's journalist are atheist, and the faith that has been the most targetted by this magazine, is the Christian faith. It has nothing to do with other culture acceptance, since they said several time they want all the foreigners in France, without exceptions, have French papers. You should read it before writing an article about it.